MANILA, Philippines – At the last day of It's Showtime's Magpasikat 2018, expectations were high to end the week with a bang. 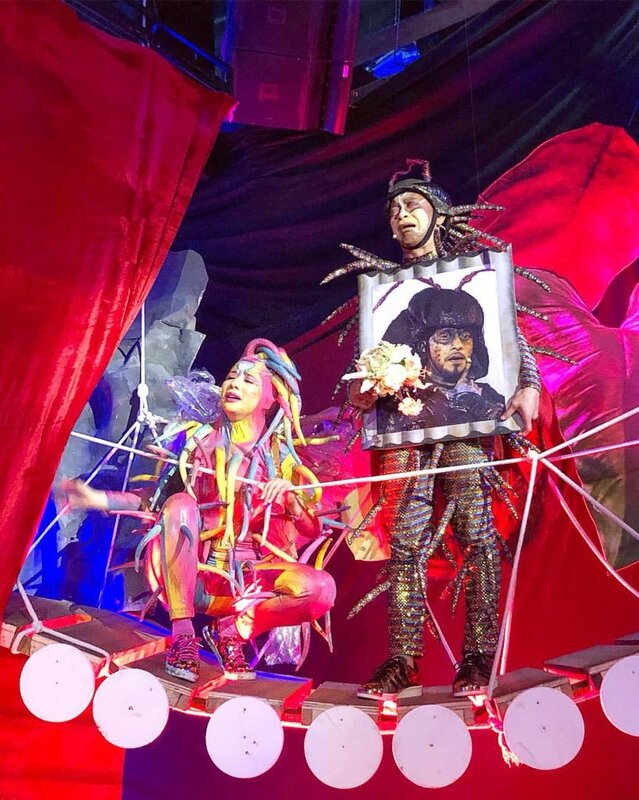 The team of Jhong Hilario and Karylle Yuzon didn't leave the madlang people disappointed with their 35-minute long performance. This year, Jhong and Karylle are joined by Hashtags Ronnie Alonte, Jimboy Martin, Rayt Carreon with Girltrends Chienna Filomeno and Jessica Marasigan. With live singing, all original songs written by Karylle and eye-candy props and costume, the whole performance felt like a broadway musical. 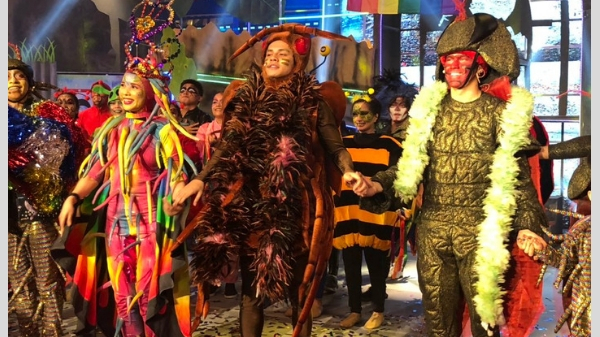 Team Jhong and Karylle gave a sequel to the love story of Ipis and Higad in Magpasikat 2018. Ronnie's character, “Kuto Martin” also stole the spotlight as he became entangled in the life of Ipad. There were surprise spins on Ipad's journey to self-discovery and even tackled peer pressure. In the end, it was Higad's unconditional love for her son that made the audience emotional. From comedy, drama, romance, Jhong and Karylle’s team sent the madlang people to a rollercoaster ride of emotions. Tomorrow will be the much-anticipated final announcement of winners. Who do you think will bring home the title of Magpasikat 2018 grand champion?